On this week’s 51%, learn more about a chronic disorder called PCOS, meet a publisher who talks about the type of writing that catches her eye, and listen to poetry from former and current poet laureates. According to the National Institutes of Health, it’s estimated that between 8 percent and 20 percent of women worldwide have a chronic hormone-related disorder called polycystic ovarian syndrome, or PCOS. PCOS is the leading cause of female infertility, and can also lead to physical symptoms like thinning hair on the head, weight gain, acne, irregular menstruation, depression, mood swings, and unwanted hair growth on the face – as in, it’s very likely that the bearded lady of Dust Bowl-era circus fame had an extreme form PCOS. As its name suggests, PCOS can be flagged by a series of cysts on the ovary observed by ultrasound. It can also be detected by excess androgen hormone in the blood. But these and other symptoms can vary greatly among women with PCOS, making it a very difficult condition to diagnose, treat–and live with. 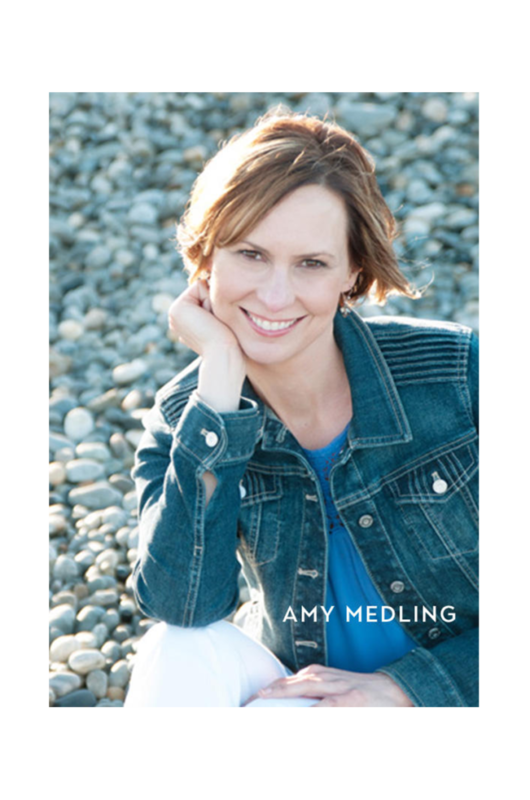 Blogger and certified health coach Amy Medling has PCOS. She started the blog PCOS Diva to educate and support women with PCOS. Medling recently spoke with 51%’s Jessica Bloustein Marshall about her new book, “Healing PCOS: A 21-Day Plan for Reclaiming Your Health and Life with Polycystic Ovary Syndrome,” where she discusses how lifestyle changes can help improve living with this challenging condition. That was Amy Medling, speaking to 51%’s Jessica Bloustein Marshall about polycystic ovarian syndrome and her new book “Healing PCOS: A 21-Day Plan for Reclaiming Your Health and Life with Polycystic Ovary Syndrome”. Meantime, the National Polycystic Ovary Syndrome Association worked with Democratic Georgia Congressman David Scott and 37 other representatives to introduce a resolution recognizing the seriousness of PCOS and expressing support for the designation of the month of September 2018 as “PCOS Awareness Month.” The bipartisan House resolution follows passage of a companion resolution in the Senate. Scott says in his state alone, PCOS affects more than 200,000 women. NEW YORK (AP) — For 108 years, the Boy Scouts of America’s flagship program has been known simply as the Boy Scouts. With girls soon entering the ranks, the group says that iconic name will change. The organization has announced a new name for its Boy Scouts program: Scouts BSA. The change will take effect next February. The parent organization will remain the Boy Scouts of America, and the Cub Scouts — its program for 7- to 10-year-olds — will keep its title, as well. But the Boy Scouts — the program for 11- to 17-year-olds — will now be Scouts BSA. The organization has already started admitting girls into the Cub Scouts, and Scouts BSA begins accepting girls next year. Chief Scout Executive Mike Surbaugh predicts that both boys and girls in Scouts BSA will refer to themselves simply as scouts, rather than adding “boy” or “girl” as a modifier. So far, more than 3,000 girls have joined roughly 170 Cub Scout packs participating in the first phase of the new policy, and the pace is expected to pick up this summer under a nationwide multimedia recruitment campaign entitled “Scout Me In.” The name change comes amid strained relations between the Girl Scouts and Boy Scouts of America. In the world of digital art, women of color are largely underrepresented. A 2017 study conducted by The City University of New York, Guttman College, notes that in New York City alone, one of the most highly populated cities for artists, women of color made up less than 6 percent of artists represented by top galleries. One minority-owned organization seeks to change that. Launched in early May, Electric Women highlights the work of women of color in the digital arts space through a collection of profiles that highlight the work of these accomplished artists. As an online digital art gallery, Electric Women features work from artists at the cutting-edge of art, science, technology, and social practice. 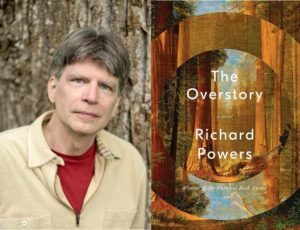 We now turn to the National Endowment for the Arts for an excerpt of a conversation on new poems between the current Poet Laureate and a former Laureate. First, current Poet Laureate Tracy Smith reads “The World is Your Beautiful Younger Sister” from her new book “Wade in the Water” from Graywolf Press, yes the Graywolf Press you just heard about with Fiona McCrae. Then, former Laureate and two-time NEA Literature Fellow Rita Dove discusses and reads “Transit” from a yet-to-be-named forthcoming collection.